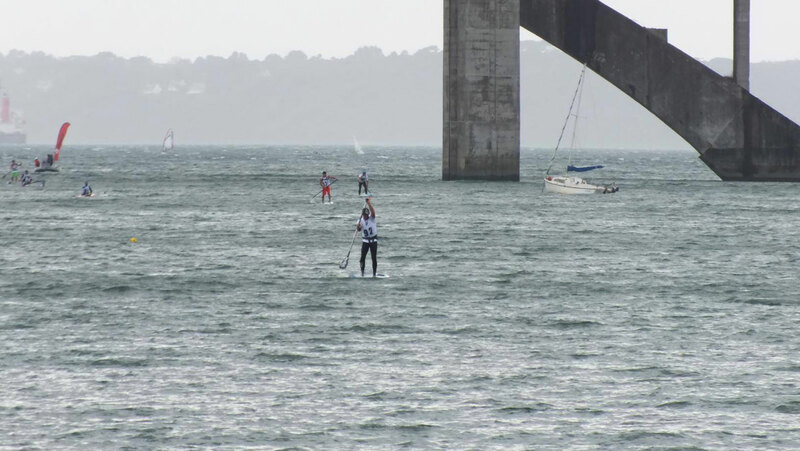 Titouan Puyo has made a clean sweep of the Presqu’île Paddle Race in France, taking out both the downwind and beach race ahead of a strong field on the weekend. Titou, the reigning ISA Distance Race World Champ, showed once again that he’s an absolute machine in the bumps, finishing the 16km run three minutes clear of his rivals. Those rivals included many of France’s finest, such as rising star (and Battle of the Paddle ‘Most Inspirational’ award winner) Martin Letourneur, Vincent Verhoeven, Gaetan Sene and Greg Closier (who was runner-up in the 12’6 class). Titou backed up his downwind victory by crossing the line first in Sunday’s Swell Beach Race, with Martin Letourneur (who’s still classified as a ‘junior’) once again taking second place. On the women’s side, Valerie Vitry comfortably took out the downwind race, with Cecile Gondre runner-up. Vitry sat out the beach race on Sunday though, which opened the door for Gondre to take the win. The Presqu’ile Paddle Race is a long-running, annual event held in the city of Brest on the country’s west coast. The event is one of the biggest races in France and this year attracted 130 paddlers (100 of which were SUPs). There’s no prize money but it usually scores great conditions for the downwinder on Saturday and some fun little waves for the beach race on Sunday. 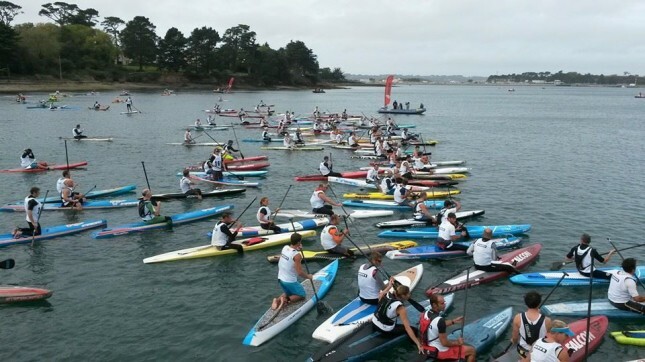 This year saw competitors traveling from the French outposts of Guadeloupe and New Caledonia, as well as the British Isle of Jersey. Saturday’s race was held on the ‘Radliko’ downwind run – France’s answer to Maui’s Maliko run – with moderate 15 knot winds providing some decent bumps along the entire course. The event was also a good warm-up for the 2014 French National Titles, which are coming up next month. That’s the event where, twelve months ago, Titou famously came out of nowhere and announced himself as a contender by defeating Eric Terrien and earning a spot on Team France. The New Caledonian would go on to win Gold in the ISA World Championship Distance Race in Nicaragua six months later. With contenders including Eric, Titou, Arthur Daniel, Arthur Arutkin, Martin Letourneur, Greg Closier, Gaetan Sene and Yoann Cornelis all fighting for a spot next month, the French will no doubt send a very strong squad to the 2015 Worlds next March.